How did Jungleman Daniel Cates Become So Successful? Home » Poker Players » How Did Jungleman Daniel Cates Become So Successful? Daniel Cates, also known as jungleman 12 or w00ki3z, is an American poker professional who was once considered to be one of the absolute best heads-up No-Limit Hold’Em players in the world. Born and raised in Bowie, Maryland, Cates started playing poker at age 15 with some high school friends during lunch where they used torn up paper as chips. A self-proclaimed “big loser” who had to supplement his bankroll working at McDonalds, Cates refers to his childhood as “weird, a bit aloof, and mostly spent alone.” Like many other poker pros, Cates loved games and was a big gamer—almost bordering on obsession—while spending huge quantities of time playing Command and Conquer. After high school, Daniel Cates attended the University of Maryland to study economics; however, this former Terrapin decided to forego college for a full-time career playing poker. Cates’ online experience began at $.25/$.50 tables. After substantial losses both online and in his local casino, he embraced “reverse game selection” to improve his play, thus enabling him to increase his stakes quite quickly. This informal system involves playing every regular player at each limit and observing their play until he could beat them. By studying others, Cates was able to not only improve his own game, but also exploit his opponents. And he has done marvelously. Cates is, truly, a high-stakes poker success story. Having started in micro-stakes in 2008, he quickly worked his way up. He is quite aggressive, oftentimes compared to Tom “durrrr” Dwan and Viktor “lsildur1” Blom. Today, Cates can be found playing any stakes—from $.50/$1 all the way up to $300/$600. Cates says that his strongest attribute to his poker success is his understanding of the game itself and how to make logical decisions. Coupled with a good memory and knowledge of how specialists play the games successfully, he has been able to make adjustments which have served to strengthen his game immensely. In 2010, Cates won more than $5 million, thus making him that year’s biggest winner. Cates has also excelled in European Poker Tour (EPT) and World Poker Tour (WPT) events with several 1st and 2nd place finishes. Daniel Cates’ current live tournament winnings total nearly $6.1 million, and he sits at 158th on the All-Time Money List. So how did Jungleman become Jungleman? In this video, Cates admits that his wild and crazy type of live play coupled with his being “like, pretty hairy” led to others mocking him with the Jungleman moniker. He thought it was funny, and, well, the rest is history. Here’s a great fold by Cates versus Bertrand “ElkY” Grospellier. Cates gets Phil Ivey to fold his top pair in this hand. These hands prove there’s certainly no love lost between Cates and Scott Seiver. If I had to choose, I’d pick Cates in a fight. He looks much quicker and more wiry. Cates, once again, takes advantage of Ivey who gets eliminated in the Heads-Up Poker Championships. Here’s a fun compilation video of Cates’ best, worst, and funniest moments. Worth a look. If you’d like to keep abreast of this immensely successful and talented player, you can follow Jungleman on Twitter. Also, if you have a couple of hours to spare, check out Cates’ appearance on Doug Polk’s podcast where the two gentlemen discuss PokerStars, lsildur1, the durrrr Challenge, Cates’ appearance on Poker Night in America’s King of the Hill tournament, managing tilt, and huge games in Asia. Speaking of King of the Hill, here’s an uncharacteristically bad fold by Cates in response to an unusually sucessful bluff by Phil Hellmuth. Cates is, understandably, irked, as Doug Polk recaps the action. There is consensus that Jungleman Daniel Cates is an adept, talented, and successful player. His close study of his opponents coupled with his knowledge of the game has made him one of the most successful players in modern history. Note: Improve your poker skills at both the live and online tables. 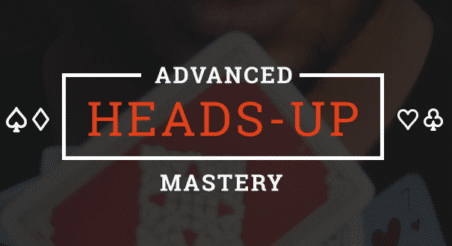 Join the Upswing Poker Lab training course managed by our world-class poker pros! ← The Charismatic Scotty Nguyen Defined in 6 Hands: That’s Poker Baby!